Ever wonder what that annoying noise is outside or inside your home that you can never seem to find? They are small insects called crickets. Crickets are some of the most irritating pests we have. Crickets will make your home their home. Crickets are small pests that can range in size from 1 inch to about 2 inches. Crickets are different colors also. They can be black like the Field cricket, light tan like the House cricket, or brown like the Jerusalem cricket. Most of the crickets will have wings, but won’t fly very far. Crickets can also be distinguished by their commonly annoying chirping noise. Where Do Crickets Live & What Do They Eat? Crickets will live where they can have a constant food supply. Outside, crickets will be found by plants. Plants have a root ball that crickets will eat, and it will also have dripper that gives the plants water which will also give crickets a water supply. Inside, crickets can be found just about anywhere. Inside crickets will eat cereal, clothes, wallpaper, cardboard, and even other insects. 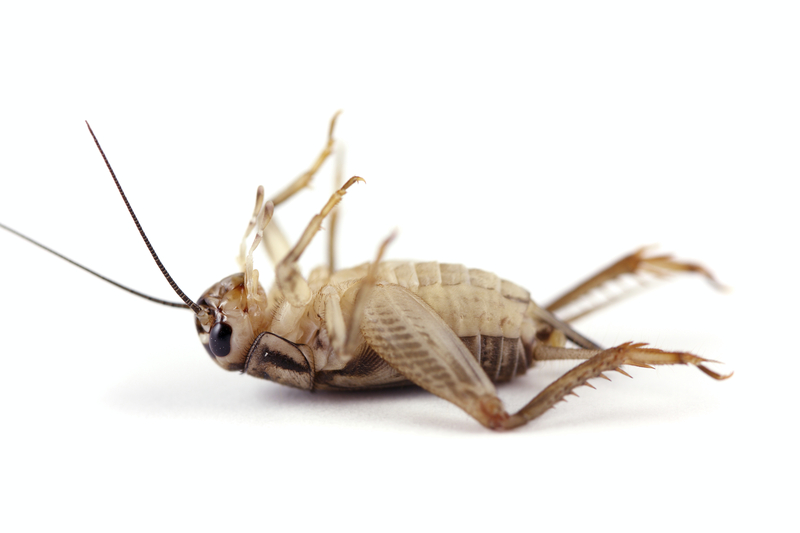 Are Crickets A Serious Problem & How Can I Fix The Problem? Although they may be small, crickets are a huge problem. Crickets will destroy your valuables. The best way to get rid of crickets is to exterminate them. 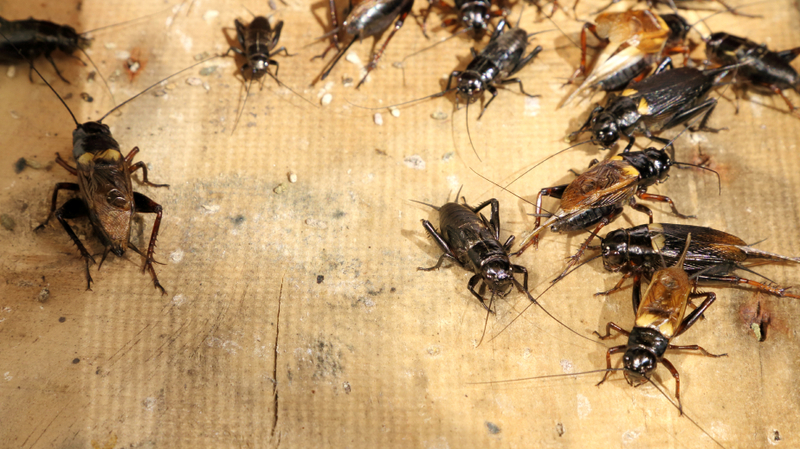 What a cricket exterminator will do is check your home and see what areas are infested. On the outside a cricket exterminator will treat the plants with granules, spray around the foundation of the home, and also treat around windows and doors. On the inside a cricket exterminator will treat around the walls of the home, and under the sinks. A good cricket exterminator will know that most of the cricket infestations will be inside the walls of the home. Bulwark Exterminating will take your face plates off your outlets and place a product inside the walls to kill all the crickets.